Growing up, my family did a lot of activities. We had Lion's tickets, Piston's tickets and we would go to a lot of shows that came to Detroit. One show I remember VERY vividly, Ringling Bros and Barnum & Bailey Circus! During part of the show, a clown came up into the stands and asked for volunteers for part of the show. I was probably about 8 years old and my hand shot up like a rocket! I had no clue what I was being asked to do, but who wouldn't want to be part of the Circus? I am not sure why or how, but the clown picked me!! I was lead down to center ring as my parents looked at each other in disbelief. I was told to sit on a chair and whenever the clown pointed at me, ring a bell...simple enough. The show went on and I did my part as others did theirs. The trick was played on another participant and everyone laughed. I was down there maybe 2 minutes but I sure remember it like it was yesterday! I was given a sucker for participating and I saved that sucker for YEARS. I am so excited, the Circus is back in town! 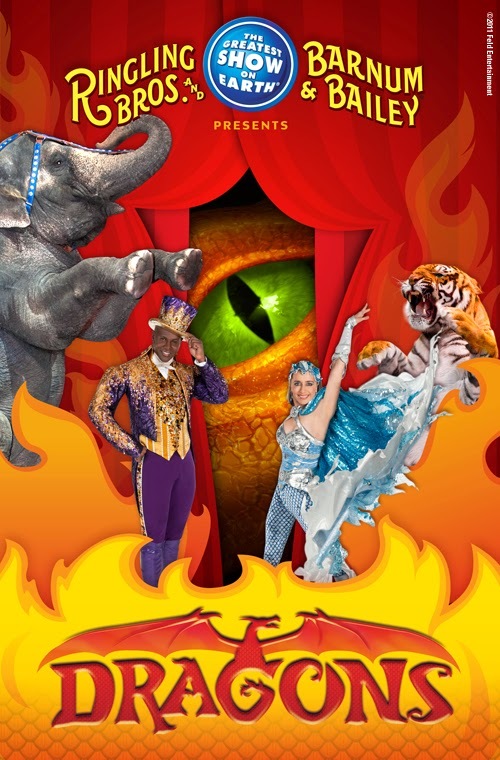 Ringling Bros. and Barnum & Bailey Presents DRAGONS is coming to The Palace Nov. 13-17! Ringling Bros. and Barnum & Bailey Presents DRAGONS is a once in a millennium event that honors The Year of the Dragon. Circus performers from the farthest reaches of the earth have assembled for Ringling Bros. Presents DRAGONS to showcase their astounding acts of bravery and astonishing athleticism. 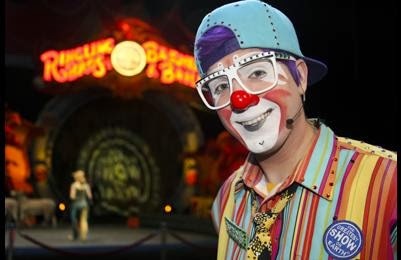 Ringling Bros. Ringmaster Johnathan Lee Iverson presides over this fantastical celebratory tournament of circus champions that brings together mystic dragon lore with authentic circus feats. DRAGONS is a never-before-seen blend of renowned spiritual and real life legends that can be found only at The Greatest Show on Earth! DRAGONS will be here for 9 interactive shows in November! Wednesday, Nov. 13 – 7:30 p.m.
Thursday, Nov. 14 – 7:30 p.m.
Friday, Nov. 15 – 11 a.m. and 7:30 p.m.
Saturday, Nov. 16 – 11:30 a.m., 3:30 p.m. and 7:30 p.m.
Sunday, Nov. 17 – 1 p.m. and 5 p.m. Even better...There is a Special Discount if you use coupon code 18MOM. With this code tickets are only $18! This code is available for all shows, but can not be combined with VIP seats and must be purchased in groups of 4. Don't miss the All Access Pre-Show! This starts one hour prior to showtime and is available to all ticket-holders. See animals up close, visit with performers, get autographs, try on costumes and enjoy the circus fun! Don't miss this once-in-a-lifetime family event when The Greatest Show On Earth brings the world together...to bring your family together!